By the mid-2000s the symbol became common practice within on-line communication platforms to group images, content and messages into logical categories – sound familiar? Fast forward to 2007, Chris Messina made the first suggestion to incorporate the hashtag into Twitter. 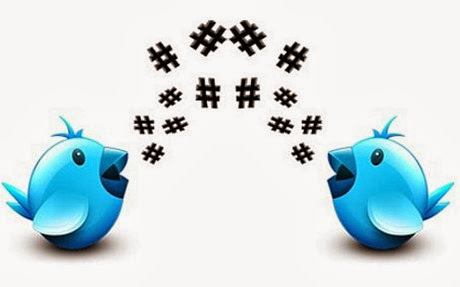 Although this idea was initially rejected on the basis of being ‘too nerdy’, Twitter later launched the hashtag function in 2009 to allow tweets to be effectively categorised according to subject. To date, the hashtag has become a staple feature of Twitter and a worldwide phenomenon, nurturing the good, the bad and the ugly. In 2011, Unicef successfully used the hashtag to gain support for the ‘Awaaz Do’ campaign. Using the tag #awaazdo, Unicef was able to support eight million uneducated children back into school in India. Similarly, during the London Olympics 2012, Nike experienced the power of the hashtag which led them to outshine Adidas (the official sponsors of the event). Using the tag #findgreatnesss, Nike became the star of the show by focusing their efforts on the inner-athlete in everyone, rather than that of high-profile sports people. The hashtag is not always glitz and glamour however, as McDonald’s found out in 2012 with their disastrous #McDstories campaign. Although the campaign was designed to elicit happy memories of McDonalds, the strategy spiralled out of control when the hashtag was hijacked by bitter customers sharing their McD’s horror stories about the company’s service and food. Waitrose was presented with a similar horror story when the tag #WaitroseReasons was taken by users to mock the brand and its premium image. One user tweeted “I shop at Waitrose because it makes me feel important and I absolutely detest being surrounded by poor people #waitrosereasons”. This single tweet was retweeted 127 times. It seems that various other social networking platforms have taken inspiration from Twitter and latched onto the hashtag trend (Instagram, Vine and Facebook to name a few), and it doesn’t look like the hashtag movement will be stopping anytime soon.